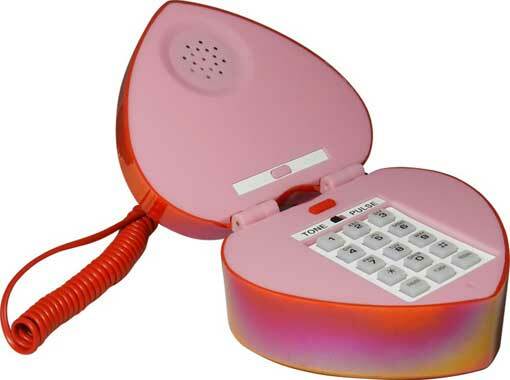 Heart Phone. For romantics will always have a place in her room, to await the desired call. 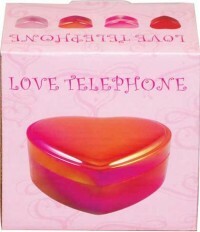 Landline design very romantic, heart-shaped. An idyllic location, the table quickly your room to meet the desired call. On the inside you find the phone keypad. It hangs and takes down opening the heart. Heart phone measures: 11 x 10 x 5 cm.